Activision and Vicarious Visions "Crash Bandicoot N. Sane Trilogy" will be available this week as the game's file size has been revealed in the PlayStation 4 console. Fortunately, the HD remastered collection of "Crash Bandicoot N. Sane Trilogy" will not occupy too much space on the PS4's hard drive, as PS4 users will need at least 23.42 GB of free disk space, WCCFTech reported. "Crash Bandicoot N. Sane Trilogy's" file size is not particularly excessive compared to that of other Triple-A titles of the current games. 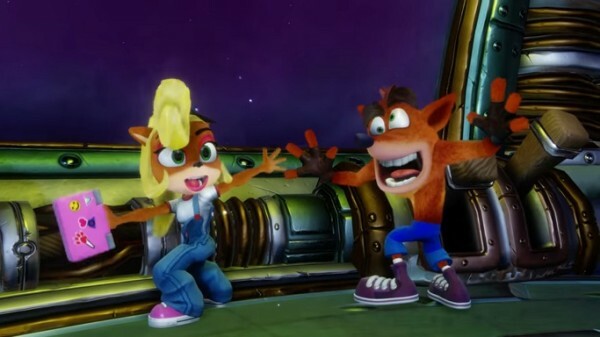 The "Crash" collection includes the three remastered games of series; "Crash Bandicoot," "Crash Bandicoot 2: Cortex Strikes Back" and "Crash Bandicoot 3: Warped", which were released on original PlayStation console between 1996 and 1998. The game will also include a possible DLC called Lost Treasure that was never announced by Activision, adding new game trophies and two rewards in the content. In other news, it seems that the "Crash Bandicoot N. Sane Trilogy" will likely go into the Xbox One console as the Hungarian website SuperGamer listed the game at Dec. 8, 2017. The "Crash Bandicoot" games were once exclusive to the PlayStation as its original developer was Naughty Dog. However, developer sold the IP to other developers, and after the first four games’ releases, 2001 saw the "Crash" games go multi-platform with Traveller’s Tales’ "Crash Bandicoot: The Wrath of Cortex" launching not only on PS2, but also later on the Xbox and GameCube systems. Past reports stated that "Crash Bandicoot N. Sane Trilogy" will be exclusive to the PS4 for only one year, teasing that the game will eventually go to other game platforms like Xbox One, Nintendo Switch and even a PC version. For now, gamers will have to wait for Activision and Vicarious Visions response regarding the game's exclusivity in the PS4.